Over here at Casa de Common Sense, I’ll admit, sometimes I’ll start projects and forget them, but it’s rare. Two projects I mentioned, I actually didn’t forget, but each take time. I figured I would update you guys on the process! The first one was mentioned a while back before Christmas, and it’s beautiful! As you see in the picture, they are fabulous, and ready to be delivered. 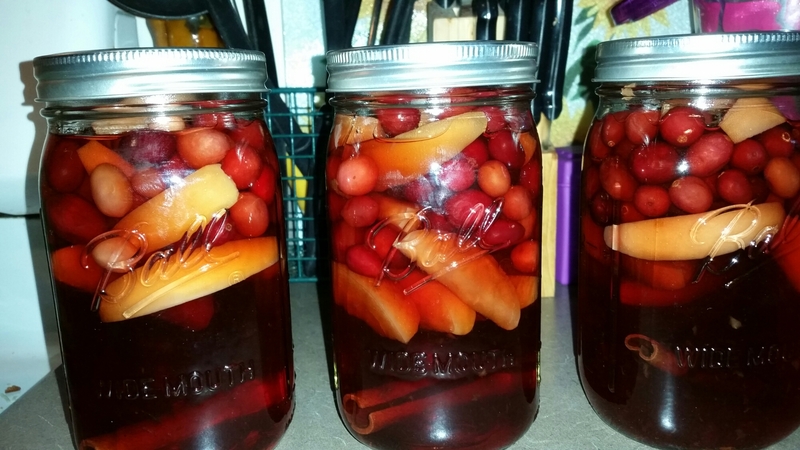 The scent is great, and towards the end, I added simple syrup to give the sweet taste to the liquor. If doing this for anyone, you can add before giving it to them, or tell them to add some once they open the canisters. Beautiful project, and I think I’ll continue to do something like this for the holidays. The other we talked about a couple days ago. I’m still very sold on the idea, and concept because spending 40 dollars in canned fruit is not my cup of tea. My kids are happy about the idea too, we just need space. I thought my problem would be getting the supplies. No, it’s making space in my townhome. I’m still working out the details of it all, but in March or April, we will come back to this project and get it going for the summer, when the kids are really home. I figured I’ve give you guys a heads up on these projects. I think the canning will go with my transformation of the garage this summer. It’s over due. LOL. We will get into organizational and crafts real soon (ex. re-upholstering furniture and homemade cleaners), I’m just getting through the winter first. One big thing to do crafts is airing out your house. Can’t do it when it’s -10 outside. Keep a look out for that! Previous Post Our Black History and how we celebrate it. 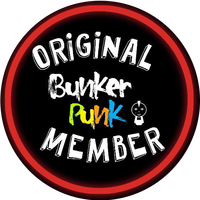 Next Post My article on Original Bunker Punks. Go forth! Looks delish!!! Definitely going to try this!